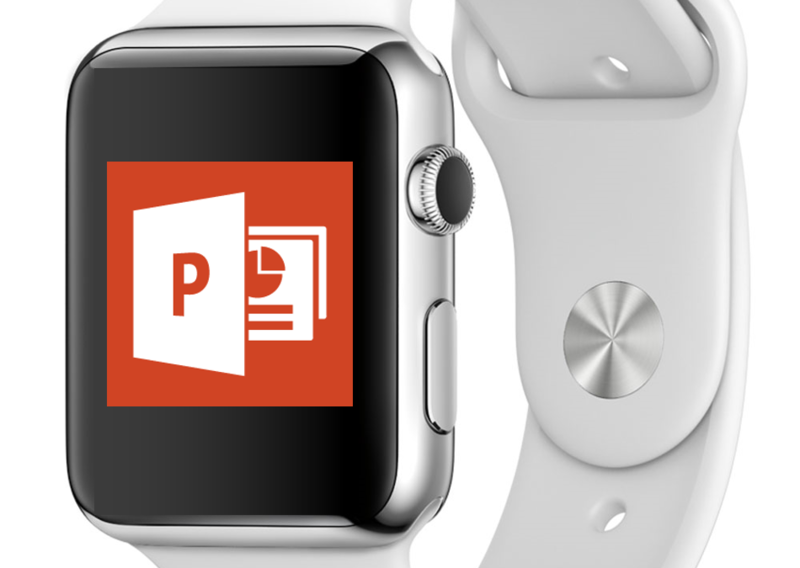 Microsoft has updated the iOS version of PowerPoint to allow you to use your Apple Watch as a remote control. You can start presentation slideshows, navigate slides and track your presentation progress by viewing the elapsed time, current slide number and the total number of slides in the deck. Currently, the watch app only controls the iOS version of PowerPoint and not the OS X version PowerPoint:mac 2011. The iOS PowerPoint app is free for iPhone and iPad when you subscribe to an Office 365 subscription to get the full functionality.